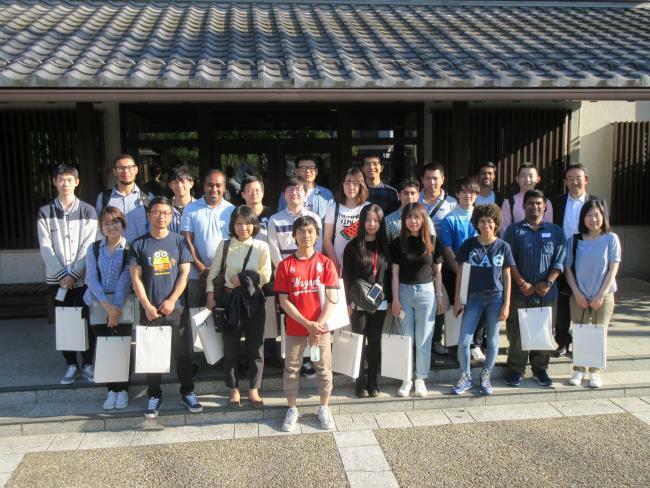 One-day trip for International students to visit Yabashi Holdings Co., Ltd. and Yokoyama Dam was held on June 22, 2018 and twenty students participated. In the morning, we visited to Yokoyama Dam, which has a very rare type of construction of dam called hollow gravity dam. 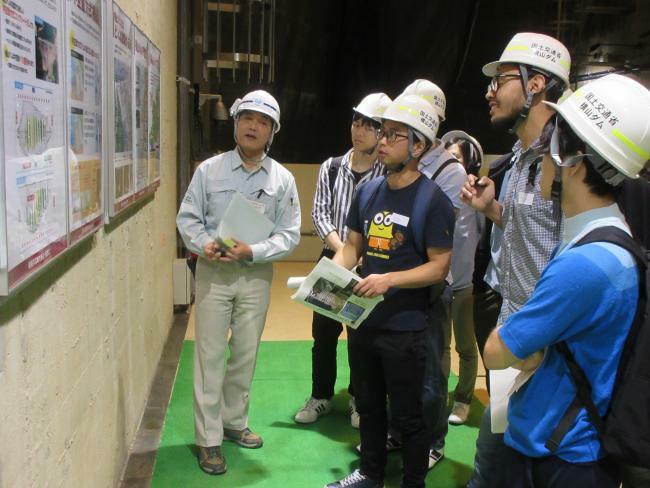 The staffs explained us about the structure, history and roll of Yokoyama Dam. Especially students who major in Architecture and Civil Engineering showed strong interest. At lunch time, we visited "Tanigumisan Kegonji". This temple has been around for more than 1200years. It was the first time for some of international students to visit a temple. "SENBAZURU-thousand paper cranes" and the traditional decorations of the temple impressed many students. In the afternoon, we visited Yabashi Holdings Co., Ltd. The main purpose of this trip was for international students to visit a Japanese manufacturing company and glimpse their business. Also it was a great opportunity to meet former international students working for Yabashi Holdings Co., Ltd. We could also see the inside of manufacture and 2type of model houses. These showed us the process technique accuracy of Japanese manufacturing. This one-day trip gave quality time to international students to learn engineering in Japan and Japanese culture. Nagoya Institute of Technology have been supporting employments for international students by "Employment Promotion Program for International Student" through a consortium comprising by Nagoya University, Gifu University and Meijo University. The students were listening to the briefing from the staff of Yokoyama Dam. Group photo at Yabashi Holdings Co., Ltd. with President Yabashi.